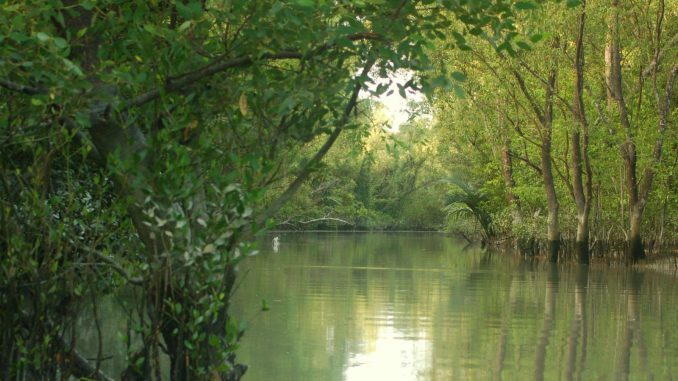 Solidaridad, a Netherlands-based international network organization, in partnership with the Wageningen University & Research (WUR) of the Netherlands and Khulna University of Bangladesh launched a research project on “Selection of Mangrove Species to Optimise Aquaculture Based Livelihoods and Biodiversity in Climate Smart Designed Polders of Bangladesh” on 24 October 2017 in Dhaka. Polders in the coastal areas of Bangladesh were constructed for rice cultivation but due to salinization caused by climate change impacts, rice cultivation in the Bangladesh’s coastal areas has been progressively replaced by shrimp cultivation. As mangroves enhance coastal protection, biodiversity and aquaculture productivity, this project aims to support the option of enhancing shrimp cultivation by landscaping the primary irrigation canals into a mangrove ecosystem. The WUR works closely with various partners in Bangladesh in a number of research and capacity development projects, mainly in climate change, water and food security. To support the projects in Bangladesh, the WUR has established a Project Office in Dhaka in 2011. 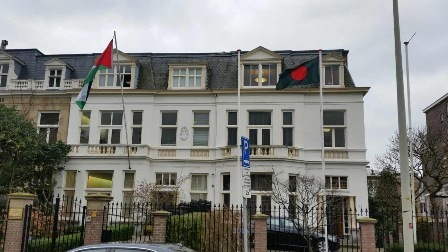 The Embassy of Bangladesh in The Hague also closely cooperates with the WUR in bridging our knowledge gaps with their supports in formulation of Bangladesh Delta Plan 2100, dynamic delta research, and research on blue economy aspects specially on sustainability of marine fisheries and coastal aquaculture, intertidal ecosystem, sea food production, coastal protection, deep sea fishing, etc.